Probiotics for Constipation in Children: Do They Really Work? The use of probiotics for constipation in children has garnered a lot of support from experts. A lot of studies have touted the benefits that probiotics can provide to the human digestive system. However, in the past few years, experts have found out that prebiotics may be an even better option when it comes to solving digestive-related problems. Probiotics are live microorganisms that can be found in some fermented foods, including soy products, yogurt and sour cream. They are also offered as nutritional supplements and are even available as juice or soy drinks. These microorganisms help protect the gut from the effects of bad bacteria by topping up the level of good bacteria already present in the digestive system. They are said to be effective in strengthening the stomach’s defenses against problems such as diarrhea, constipation, intestinal inflammation, atopic illnesses and urogenital diseases. However, some studies have claimed that probiotics may not be as effective as initially claimed, given that they are easily destroyed by manufacturing processes and by exposure to stomach acid. Children have been known to suffer from various digestive illnesses, mainly because they are not as concerned as adults when it comes to the cleanliness or safety of the food they eat. Constipation, or difficulty in defecating, is one common problem encountered by kids. It can be a minor condition that eventually passes or may be a sign of a more serious illness. The use of probiotics for constipation in children has so far not revealed any adverse effect. Probiotics are mainly considered safe. However, parents who wish to give their kids probiotics to regulate their bowel movements should always be there to supervise. Better yet, consult a doctor first before giving kids probiotics or anything for their digestive problems. Although probiotics have been found to have beneficial effects on the digestive tract and on human health as a whole, there have been questions on whether these benefits are enough to make a difference. Such questions have been asked mainly because, as mentioned earlier, probiotics are prone to destruction when exposed to technical procedures or stomach acid. In the past few years, some studies have claimed that a better support for digestive health can be found in prebiotics. Unlike probiotics, these food ingredients are not affected by treatment, manufacturing techniques or stomach acid. They travel through the digestive tract without their original form being altered, therefore their efficacy are never in danger of being diminished. Prebiotics are also found in natural food sources, including in artichokes, kiwi fruit, onion and garlic, just to name a few. Their primary function is to serve as food to the good bacteria found in our gut. They are also good at inducing metabolic activity and are able to create an environment that is hostile to disease-causing bacteria. The use of probiotics for constipation in children does have some benefits, although it may be minimal depending on how the probiotic product was manufactured. 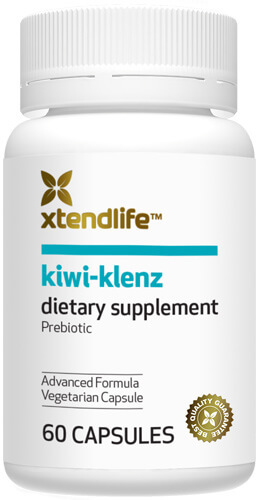 However, parents may be able to get better results if they opt for a prebiotic-based product or supplement like Kiwi-Klenz, in addressing the digestive problem encountered by their kids. Are Prebiotic Supplements Children Friendly?